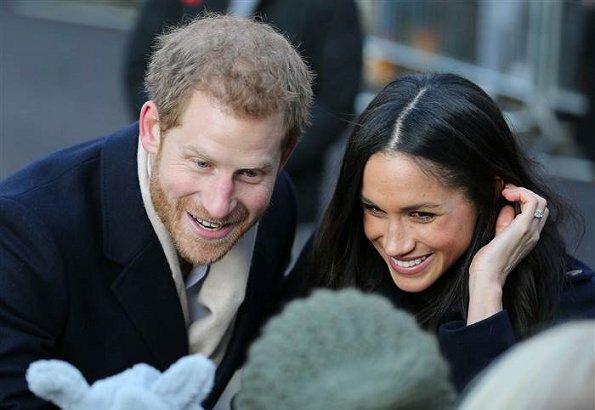 Meghan Markle will celebrate the Christmas Day with her fiancee Prince Harry and the royal family at Sandringham House. The spokesman of Kensington Palace officially confirmed that Meghan Markle will spend the Christmas with Prince Harry and the royal family at Sandringham House. Meghan Markle will attend Christmas morning service at St. Mary Magadalene Church with the royal family. The Queen has made an exception for Meghan Markle by inviting her to join Christmas festivities at Sandringham, although she is not married to Prince Harry yet. Thats wonderful for her and Harry. I can’t wait to see pictures from the Christmas service. So glad this is happening. When Kate was engaged, she could go to her parents in England for a lovely family Christmas. Meghan, in England, thousands of miles from family in North America, would have been alone! Very good decision by the Queen. She could spend holiday with fanilly. She is not alone in the world. I think this is being allowed because the reality is that the Queen and Phillip are ....quite old. Going strong but still. Time is racing and I think Her Majesty knows this and also that Harry is so so happy and she wants him settled and happy. It is a very generous thing to do and this is just another reason why QEII is amazing! As you grow older family being together is so important. I am so happy for them. Agree. Queen Elisabeth II is amazing ! Bravo... I totally agree, it is nice to see the changes that are taking place for all the best reasons. Agree. I had the same thought. Well, no, if Meghan was in England for Christmas with Harry, and not invited to Sandringham, she would be alone. She has no family at all in England. Diane, these were my thoughts exactly! As the Queen and Prince Philip are quite old I'm sure the thought passed through their minds or at least the Queens that maybe one or both of them may not have too many more opportunities to share a Christmas with the extended members of their family. I think the Queen is very aware of this and hence the invite. Anyway aren't rules made to be broken....? Much is made about fact that Kate was not there in 2010. But I am not sure that she would NOT have been there if William had the holiday off. He did not. He worked and Kate wanted to spend Christmas w her family. It bothers me that the press is already trying to build a wall bwt Kate and Meghan. They are both in very roles. I see them as being a Ying and Yang. These 2 couples are going to be fabulous working together! Agree with Diane. Blessed and happy Christmas holiday to you! Diane, you are so right! Kate lived w William for yrs ...that is not the reason. Jmho. It would have been awkward not to, with Harry and Meghan the guests of the Cambridges at nearby Amner Hall. They are guest because she is attending.